When it comes to fashion we all know the accessories can sometime be the star of the outfit. 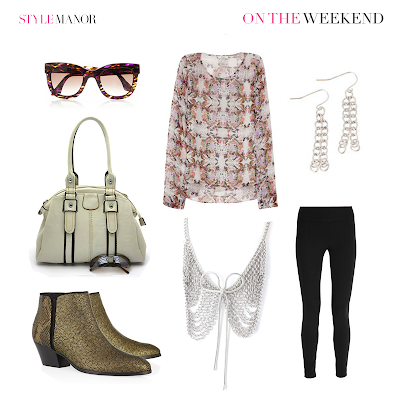 A necklace, earrings or handbag can make or break your outfit. That's why you can never, ever have too many accessories...am I right? Yeah you know I am...LOL Well recently the lovely people at Style Manor contacted me and sent some accessories to review. Style Manor is a new(ish) website where you can get a full set of accessories inspired by some of your fave celebrities. For only $39.99 you get a handbag, a necklace, earrings or bracelet (3 items can vary). Each week the stylist at Style Manor will feature 3 items, and show you how to style them with sample outfits. There is no subscriptions, so you won't have to "skip" if you don't want the items. No memberships, and you get free shipping. My favorite thing about Style Manor is you can buy the pieces separately. If you only love the bag, then you can buy it or if you only love the jewelry you can buy it all individually. If you love the 3 items then you get them all for only $39.99...sweet deal! Definitely a site to check out if you love celeb inspired fashion/accessories. This is the set I received from Style Manor for review. It's a simple silver tone round earrings, and a matching multi-plate necklace. I believe this is scheduled for next weeks selection (not sure what the celeb inspiration is), which changes every Wednesday. You can look at the site and preview the current selection with out signing up, and before you decide to buy. This weeks look is inspired by Zoe Saldana. I like the fact Style Manor gives you a new look every week, instead of only once a month like other sites. The pricing is good for 3 items, where as other sites only give you one item for the same price or more. Oh did I mention you get free shipping too, can't beat it! Most items are not high end but do look good for the price. You should definitely take a look at Style Manor, you maybe surprised at what you find. Style Manor website here & you can also find them on Facebook here. 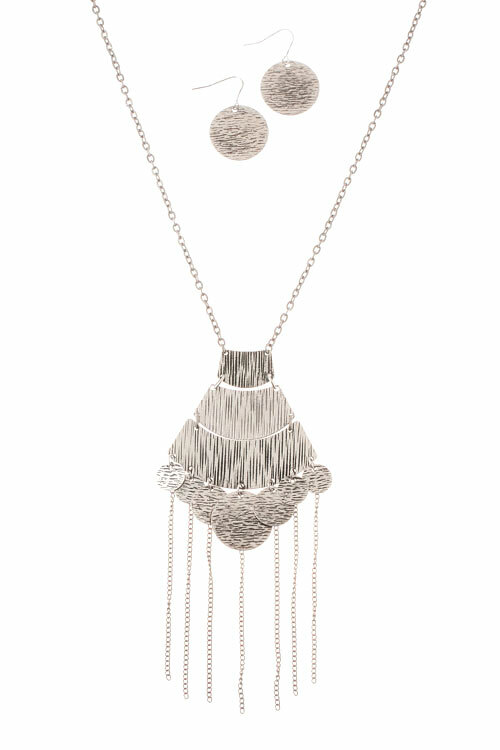 This silver necklace is so lovely and I think it would be fitted for a bridal jewelry in NYC. I like how catchy the design is.